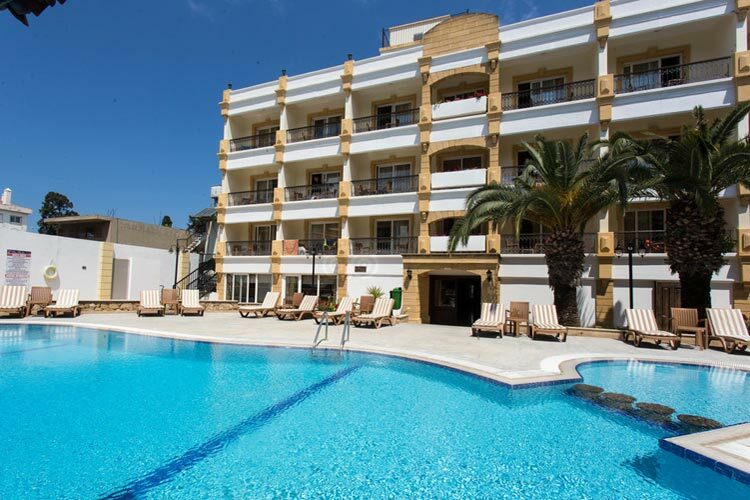 The Pia Bella Hotel occupies an enviable location in central Kyrenia, just a short walk from the historic harbour with its wide range of shops, bars and restaurants. Set on a 15,000m2 site amid spacious, tranquil gardens, the Pia Bella prides itself on its highly professional staff and exceptional standards of service. This family-run hotel includes two outdoor swimming pools, with kids section, pool bar and pool lift. All rooms are air conditioned and include satellite TV, telephone line, hairdryer and tea & coffee making facilities.